According to Will Sigsworth, writing for Social Media Today, Facebook is currently testing two types of new links in newsfeed. These are image-based, which suggests that the social network is still working on optimising images as much as possible for the site. The new design for posts is dominated by an image pulled from the article which has been posted with the article title and short excerpt text shown above the image, rather than to the side. When the image is clicked, it takes you to the full article, rather than an image enlargement as it is at the moment. The second proposed design which is in testing is similar to the current design but again, takes advantage of the more image-centred design which is seen in the current newsfeed. The headline and subtext appears next to the image, but with the source site name and logo at the bottom of the post box. Again, when the image is clicked, it takes the reader to the full article and whilst there’s speculation that video could be included in both test cases, this is at yet unconfirmed. A new Groups section has also been added to the site this week, which only displays open groups to the left of the page, leaving out closed, invite-only, or invitation–pending groups not being displayed. I have been wondering why my pages have recently had trouble with displaying images alongside some links, looks like this could be the answer, more Facebook new or improved features on the way. 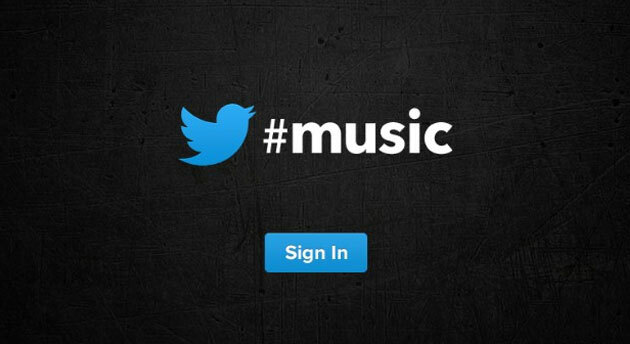 Twitter is dipping its toes in the streaming music service water, with a new music app that recommends tracks based upon who you’re following on the site. Third-party services such as Spotify, Rdio and iTunes deliver the tunes, which can be played from within the app. The app displays suggestions from artists and shows which tracks and artists that your friends are listening to. The new app #Music is now available for iPhone downloadable via iTunes. So far, there is no app available for Android or Windows Phone, but it’s thought that there will be a web browser version rolled out over the course of the next few months. This will be initially only be available in the UK, Ireland, US, Canada, Australia and New Zealand. “It uses Twitter activity, including tweets and engagement, to detect and surface the most popular tracks and emerging artists,” Twitter’s Stephen Philips said in a blog post. He went on to say that half of Twitter users follow at least one artist and this is the reason that many musicians turn to the social network to connect with fans. Telecoms provider EE has announced that it is to double-up its 4G speeds in certain locations around the UK, offering a top speed of up to 80Mbps. Currently, 50 towns around the country have EE’s 4G service, which have received varying reports concerning speed and stability, and this is expected to climb to 80 towns by June. By this time, some of the successful auction winners from the spectrum auction at the start of the year should also have 4G in place. This is when things are likely to hot up for EE, who have come in for some criticism regarding pricing and data allowances since the 4G service was launched. Faster speeds will surely mean that more data is consumed and if you’re on one of EE’s 500MB packages, the extra speeds will more than likely be next to useless. However, you can pay top notch and receive 20GB for a whopping £76 pm. You’ve all seen the Evolution of Dance right? The one where the guy dances to different music from different decades in a highly entertaining manner? Well now Pentatonix has come up with a medley of songs throughout the ages and put them together in a fantastic medley that’s so far had over 3.5 million YouTube hits. The medley begins in the 11th century with Salve Regina and takes you on a clever musical journey right through to Carly Rae Jepson’s Call Me Maybe. Enjoy! Did we miss anything? Feel free to contribute using the comments section below. Learn more about MySocialAgency and our digital marketing services by getting in touch today!